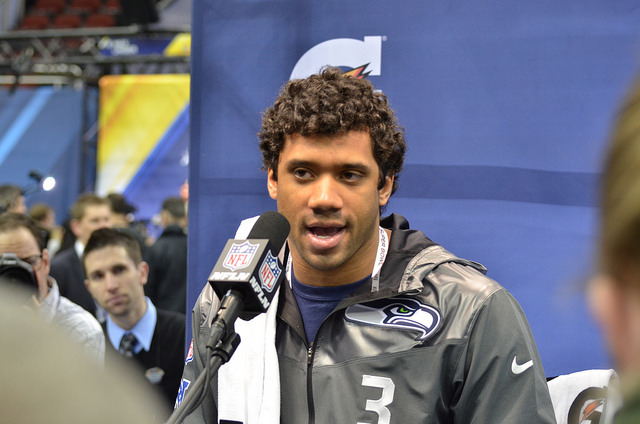 Can Russell Wilson Be the Best NFL Quarterback Ever? Like most high-level quarterbacks, Russell Wilson has set his sights on being the best of all time. That’s not an abnormal thing — most people trying anything out tend to idly speculate about being at the top of the food chain. The best tennis players when they pick up a racket. The best baseball pitchers when they throw a baseball. The best quarterbacks when they win a Super Bowl in their sophomore season. It’s not so odd, really. But is this a real thing? 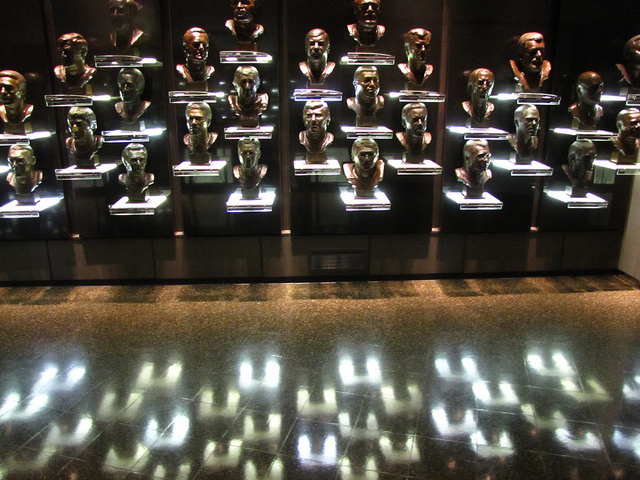 Could Wilson really be the best quarterback of all time? The knee-jerk reaction is a scoff, because “best ever” is usually something that’s already happened, appreciated in retrospect as hitting heights that no one is going to hit again. Sepia nostalgia coloring over the past and providing a defined line between the “greats” of yesterday and the “pretty good, I guess” athletes of today. To draw as best a comparison as possible, let’s take a look at Wilson’s first two seasons in the NFL. There they are. On the face of it, his 52 touchdowns seem high, the byproduct of a throw-happy National Football League. Except that no team stifles the throw in favor of the run as often as Seattle. So if we accept that Wilson’s throwing numbers could be inflated by virtue of the way the game is played now, we have to assume that they are inflated less than a QB on another team. But how do his numbers stack up to the rookie and sophomore years of some of the greats? Probably the easiest way to see if Wilson could become the best of all time is to see how he compares to the greats. If we take a look at the first two seasons from Hall of Fame quarterbacks, we can draw some comparisons and some connections. What stands out the most? Over two years, only Dan Marino had thrown for more touchdowns and more yards than Wilson. He had also lead his team, the Miami Dolphins, to the Super Bowl. Unlike Wilson, his team lost. Wilson’s lifetime record with the Seahawks, 24-8, is also better than any of that crew, save Marino’s 21-4 – luminaries like Joe Montana and Terry Bradshaw only mustered 2-6 and 8-13, respectively — for what that’s worth. If we’re going by the code of Vince Lombardi, winning is everything, and Wilson’s been able to guide the Seahawks to victory more often than not. And what about his arm? Assuming the not-unreasonable position that Wilson was mostly a game manager for the Seahawks and that the real crux of their championship season was on their defense and running game, we can stack up Wilson’s ANY/A against his Hall of Fame competition. ANY/A, or adjusted net yards per pass attempt, is a metric designed to display how successful a given QB is at the air game. Peyton Manning essentially owns this stat, but he’s not in the Hall of Fame yet. Against other rookie-sophomore ANY/As, Wilson’s 7.05 rounds out behind Marino’s 8.40 … and no one else’s. Next on the list is Jim Kelly, with a 5.5. Wilson so far in his career has thrown better and won more than most of his would-be contemporaries. 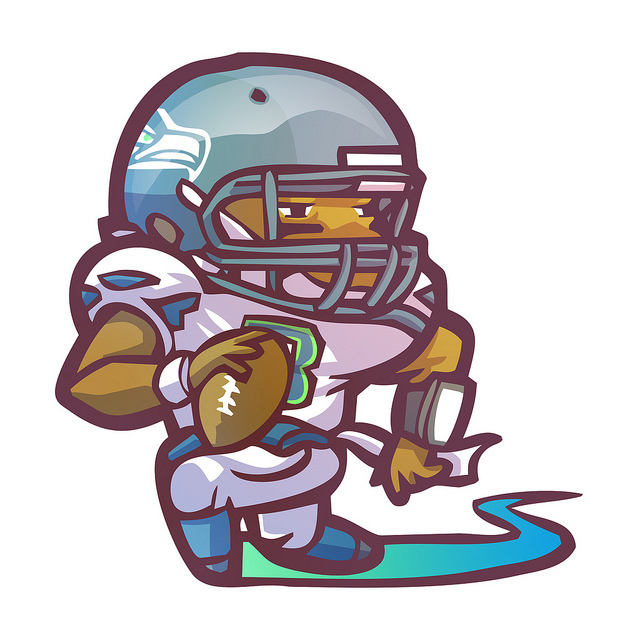 In fact, Wilson’s only contemporary as a sophomore Super Bowl winner is an active player. Any guesses? It’s Ben Roethlisberger, the quarterback for the Pittsburg Steelers, who beat (of course) the Seattle Seahawks in 2005. Roethlisberger, who had a rookie and sophomore ANY/A of 8.5, 32 touchdowns, and 5,006 passing yards to go with a 25-3 record, actually makes for a compelling comparison to Wilson, at least at this point in the Seattle quarterback’s career. That’s the most interesting part of this whole thing, because even the most diehard Steelers fan would agree that Big Ben probably isn’t even in the top 15 quarterbacks of all time, let alone in the discussion for “the best ever.” Why is that? Is it because Big Ben & Co. only made it to the Super Bowl three times? After all, he’s got the same number of championship rings as John Elway, but most would be adamant that Elway was a far superior QB (even if he was two for five in the Big Game). Is it because of Elway’s awesome regular-season winning percentage — aka the Manning quotient? For Wilson to be considered the best of all time, he would likely have to snag a perfect record in the Super Bowl, break one of Peyton’s single-season passing records (yards or touchdowns), finish his career with a regular season winning percentage around 75 percent, and he’d have to have an iconic throwing performance like “The Drive” or “The Catch.” His sole nickname-able game winner, “The Fail Mary,” isn’t going to cut it. So, good luck, Russ. It’ll be fun to see you try.